Leaving many surprised, Karan Johar’s latest production Dhadak has registered the highest opening of all time in Hindi Cinema for newcomers’ film. 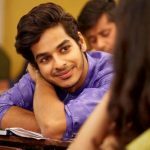 Star kids Ishaan Khatter and Janhvi Kapoor starrer this romantic drama has got succeed to hit the target right and to break the spell of blockbuster Sanju at the box office despite mixed reactions. Directed by Shashank Khaitan, Dhadak is an official Hindi remake of Marathi blockbuster Sairat. Being an adaptation, it has an almost similar story but the fresh & charming pair of Ishaan & Janhvi has added vibrant colors to it. For their commendable performances, both the newcomers are being appreciated by most of the critics. On the first day, Dharma Productions’ presentation started its journey on a decent note with an occupancy of 30-35% for morning shows. Over the evening and night shows, the film recorded good growth in multiplexes and raked the business of 8.71 crores. With this, it has become 11th highest opener of the year so far by dominating Alia Bhatt’s Raazi (7.53 crores). On the next day i.e. Saturday, due to positive word of mouth Dhadak showed a jump of 26.75% and minted the amount of 11.04 crores. After 2 days, the total collection of the film has become 19.75 crores at the domestic box office from 2235 screens. As per the current trend, it is all set for a strong opening weekend with 30+ crores on board. If Ishaan-Janhvi starrer retains a good pace on weekdays as well, then it would be next hit of Bollywood this year.